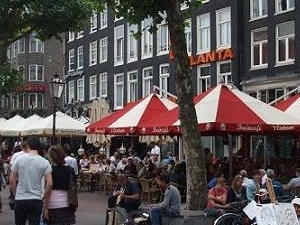 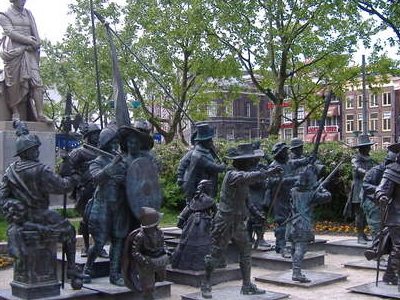 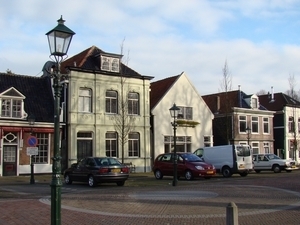 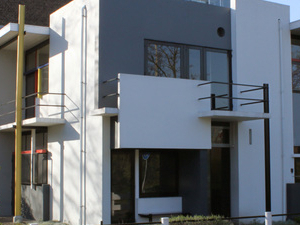 The square is bordered on the east by Utrechtsestraat, Reguliersdwarsstraat on the south, Regulierbreestraat on the north and Halvemaansbrug on the west. 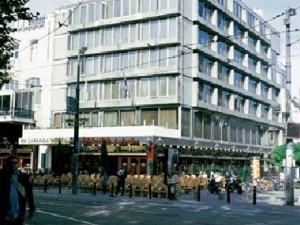 The largest building on the square, across Utrechtsestraat, was designed in 1926 by architects Bert Johan Ouëndag and Hendrik Petrus Berlage as the head office of the Amsterdamsche Bank, later ABN AMRO. 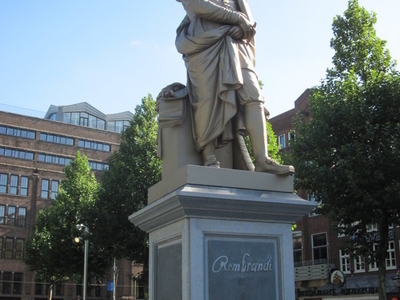 ABN AMRO vacated the structure in 2002 and in 2011 it reopened as retail office building named simply The Bank with 25,000 sq m (270,000 sq ft) of space after a five-year renovation. 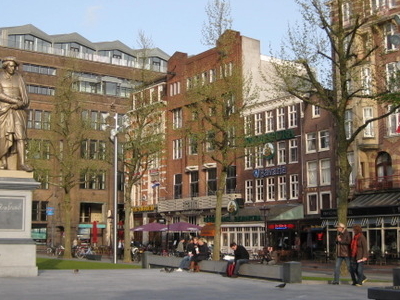 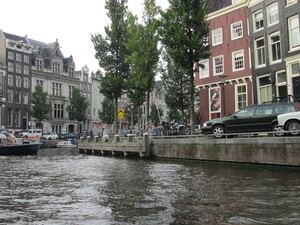 Thorbeckeplein, named after politician Johan Rudolf Thorbecke (1798-1872), is adjacent to the south, and leads to Herengracht. 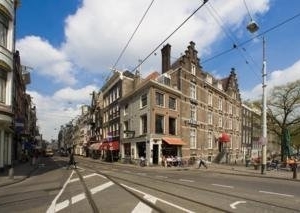 Tram lines 4, 9 and 14 operate on Regulierbreestraat and connect Rembrandtplein to the Stopera, northwest across the Blauwbrug (Blue Bridge) on the Amstel River, Dam Square to the northeast, and Amsterdam Centraal railway station.